Dolce & Gabbana’s Forest–Supermodel Claudia Schiffer returns as the face of Dolce & Gabbana’s fall-winter 2014 campaign. Claudia’s last mainline ad for the Italian label was for the cruise 2009 season. She also previously posed in a fragrance ad for the brand. 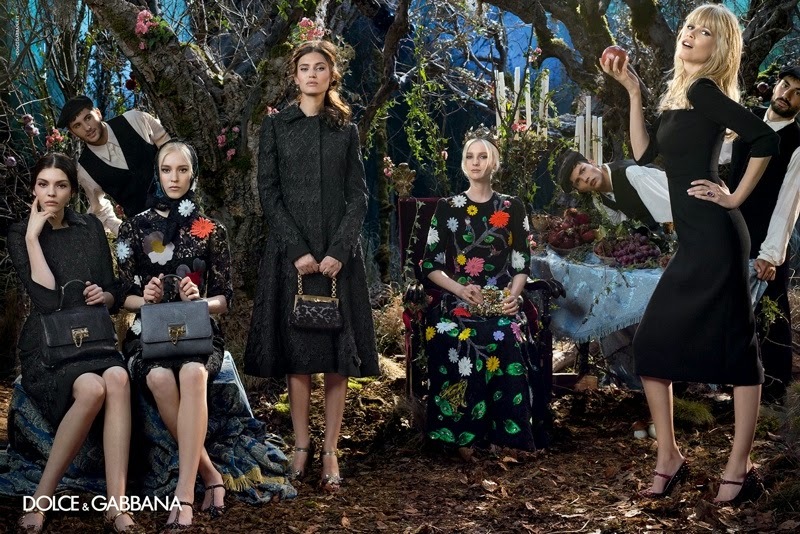 Designer Domineco Dolce captures the German model alongside Bianca Balti (who appeared in Dolce’s eyewear ads for spring) and others in an enchanted forest setting with a fairytale/medieval theme.